Colin Kielty opened his door on the morning of August 12, 2017, to see trucks bearing neo-nazi decals parked in front of his house. Young white men in polo shirts and khaki shorts sat in open-bed pickup trucks, waving Confederate flags as neighbors shouted at them to leave. The second day of the Unite the Right rally in Charlottesville, VA was about to begin. The day progressed into violence. Kielty saw people with shields engage with others, projectiles like tear gas thrown in different directions, medics responding to people who were hurt. Then he was threatened with a taser. Stunned, Kielty saw a neo-nazi poised with the weapon eventually leave with other alt-right protestors. Yet after his experience, Kielty still feels that he was lucky. He is white. He is male. He couldn’t imagine what other minority groups in the area must have been feeling. The Unite the Right rally, more commonly known as the Charlottesville riots, is a controversial landmark in the conversation of free speech in the United States, particularly as it relates to college campuses. On Thursday, March 21, President Donald Trump signed an executive order to “protect free speech” across all public universities in America. Free speech is defined in the First Amendment of the United States Constitution, which reads “Congress shall make no law respecting an establishment of religion, or prohibiting the free exercise thereof; or abridging the freedom of speech.” As it stands now, the order will direct 12 grant-making agencies to work with the Office of Management and Budget in an attempt to ensure that universities are complying with federal law. Public universities like the University of Colorado Boulder are required to meet federal guidelines in order to receive federal funding. But many students and instructors at CU feel that free speech is a right that is already soundly supported, both in productive and damaging ways. In terms of hate speech, Kielty said that is protected on a university campus, too. “A commitment to free speech does not commit you to thinking that it is a good idea to bring controversial speakers on to campus,” Kielty said. When asked about Trump’s impending executive order, Kielty said it is difficult to know what its exact ramifications will be for colleges. The president’s decision has left conservative groups on campus eager to see what the order may hold for free speech. It’s a side that has been represented by conservative firebrands like Milo Yiannopoulos and Ann Coulter, whose CU visits have triggered protests from students. But Barker insists that speakers are not necessarily endorsed by the group, rather TPUSA wants to bring speakers who are “interesting to hear” even if some may consider their words hate speech. This is not to say that TPUSA does not want disagreement — Barker “strongly encourages people to have opposing views” as a way for everyone to understand both sides. “I think that [free speech] should be given the right to everybody on both sides,” Barker said. Barker said he enjoys attending events that he may not necessarily believe in but finds important to spark “intellectual thinking.” Recalling Yiannopoulos’ 2017 campus visit, which drew over 200 protestors, Barker said he was pleased to see such a large turnout for both attendees and protestors. In a lot of ways, Yiannopoulos’ talk was a chance for TPUSA to “get its name out” to the CU campus. The night was a testament to CU’s open policy towards free speech, and Barker said on behalf of himself and TPUSA, the university has been incredibly supportive. The proposed Trump executive order will bring little change to CU’s policies, believes Barker, who said CU is exceptional in its free speech tolerance. “Personally I believe the content of [the executive order] is a good thing,” Barker said. Still, Barker leans against the use of an executive order to enforce such a policy and said he would prefer to see it be handled in a legislative sense. However, even TPUSA has faced the brunt of the problems that arise with free speech. Recently, TPUSA Communications Director Candace Owens made several comments regarding Adolf Hitler and nationalism. Barker said he would not comment further on TPUSA’s statement, yet it has led some students to question the limits of hate which free speech has allowed. As Ann Coulter addressed hundreds of students and community members during a TPUSA sponsored event on March 21, 2018, then-sophomore and former president of the Black Student Alliance, Gwendalynn Roebke, spoke to a huddled crowd inside Old Main. Roebke, along with Women’s Resource Center (WRC) and the Gender and Sexuality Center, brought students together as part of a counter event to Coulter’s talk, which to Roebke was not free speech but “hate speech.” Roebke recalls the armed guards with snipers laying on the roof of the UMC, an image that only emboldens violence. For Roebke, events like the alternative to Coulter’s talk intended to give a safe space away from the aggression and violence of the ensuing protest. Coulter’s talk and those who defended it as free speech only “normalized hate” said Roebke. “Sensationalists” is the word Roebke uses to describe such speakers, who instead of saying anything of value, only say rhetoric that leads people to get hurt. They believe the university’s decision to host speakers like Coulter and Yiannopoulos is a “tremendous waste of time and money” for people who they believe are trying to “erase” marginalized groups of people through rhetoric. Free speech has always protected the privileged in society, said Roebke. So when they heard about Trump’s executive order, they were “not surprised” — it is a move that Roebke sees as benefiting racists. Growing up in Colorado Springs, Roebke said they are no stranger to racial slurs or microaggressions. Briannah Hill, former president of CU’s Queer Trans People of Color, shares similar sentiments to Roebke’s view on the one-sided nature of free speech. “It uses privilege to stay alive and we all need to reevaluate how we think about free speech vs. hate speech because we all have privilege in one way or another and might have acted on hate speech,” Hill said. CU enables speakers to make marginalized groups feel even more oppressed according to Hill, who believes the university should reevaluate its policies. “I do not believe that hate speech should be protected, but if we’re looking at it truthfully, it has been protected since ‘Amerikkka’ has been established for a certain dominant group in power,” Hill said. Across campus on the night of Coulter’s speech, Heraa Hashmi walked into the large lecture hall of Chem 140 as students and community members stared and whispered. Hashmi wears a hijab and knows that it made some attendees uncomfortable. Hundreds were packed into the expansive room, eagerly awaiting a talk by conservative commentator Ann Coulter, who was sponsored to come to campus by TPUSA. Hashmi, a senior at CU and former president of the campus Muslim Student Association, took her seat in the crowd and listened as Coulter railed against immigrants and liberals. At one point, Coulter urged the U.S. to bring in immigrants who were “better looking.” Within 30 minutes of the talk, she stood with several other students and marched out as part of a silent protest. As she and other students left the room, attendees booed and chanted “USA,” something Hashmi found interesting. Years ago, in a history class, Hashmi was told by a classmate “not all Muslims are terrorists, but all terrorists are Muslims.” The student asked Hashmi why Islam had never “condoned terrorism.” Following that exchange, Hashmi created a 712-page document listing times and locations for when and where Muslims condemned acts of violence. For Hashmi, the president’s executive order will only continue to enable such speech. “Everyone’s entitled to their own opinion,” said Joey Wong, a fifth-year student and member of CU’s Midwestern Asian American Student Union (MAASU) chapter. Wong understands the issues of free speech but believes CU has their hands tied when it comes to preventing forms of hate speech. Wong feels that CU needs to do more to facilitate a productive environment for free speech. For him, the constant cycle of divisive speakers yields little benefit to students, specifically in terms of diversity and inclusion. CU does little to give a platform to other student opinions, said Wong, especially when it comes to minority and marginalized groups. However, Wong said that student protests have garnered MAASU some connections in the past. While not an active protestor himself, Wong said that if anything, protests can help students who may feel sidelined become more integrated within the university community. Wong refers to it as a type of networking. 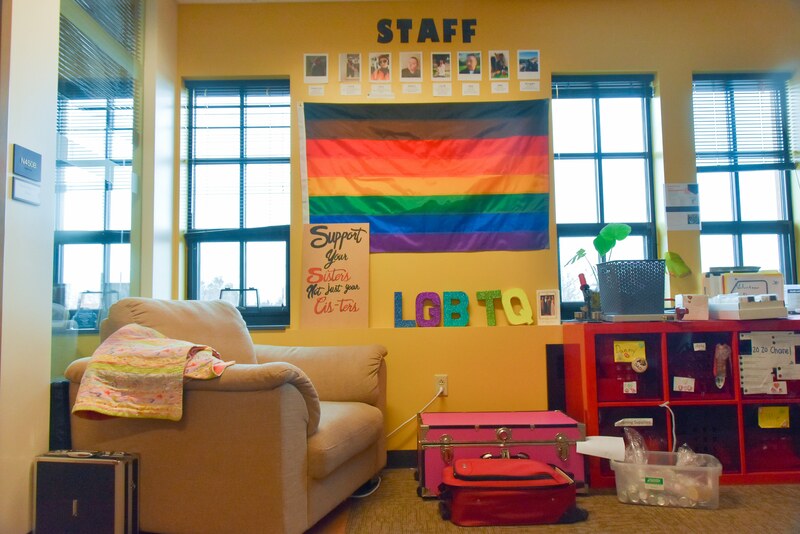 Wong wishes CU would help student organizations like MAASU continue to meet and spread awareness to new students, something that Wong said has been difficult recently. Updated 4/2/19: The article previously stated that Kielty was tased when in fact he was threatened with a taser.